I think that the BenRiach ”no-age-statement” Heart of Speyside is a very good, and good priced, whisky. So why not try their 12 year old. The smell is BenRiach and very “12-year-old-like”. Floral and hints of vanilla and citrus. This seems to be a classic standard whisky. But let’s not get ahead of ourselves. Let’s taste it! Again floral, but with more power and it is very tasteful. 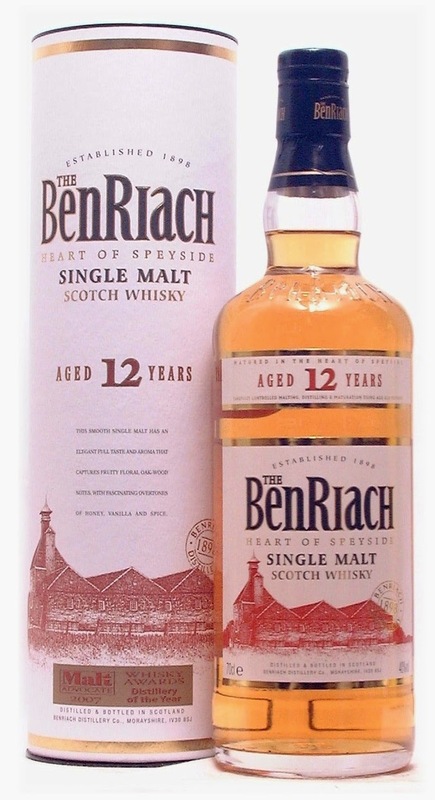 Some fruits, perhaps apple or pears, and a thanks to the people at BenRiach for not bottle this at 40 %. I think the 3 extra percentages gives it more life! The finish is just the whisky dying out. A bit too fast, but okay. This is like a big brother to the Heart of Speyside, but with a lower education. I will give this whisky 80/100 (19/21/20/20).